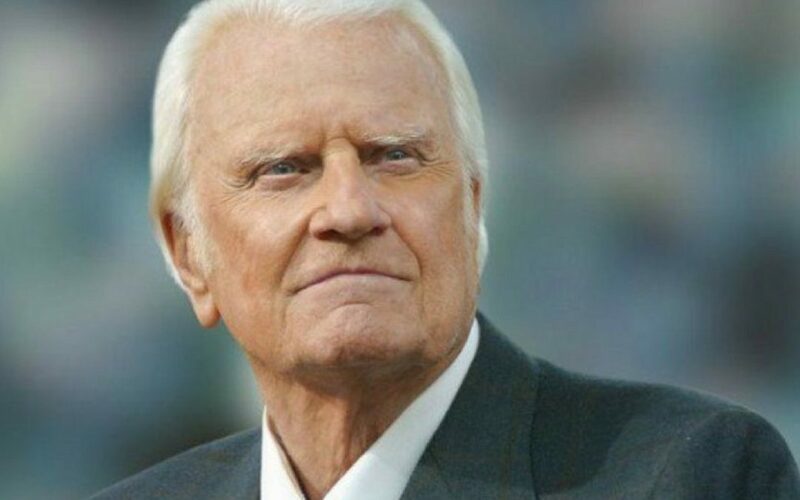 Much has been said and written about the passing of Billy Graham this past week. For me and countless others, he was a hero and someone I admired greatly — not only because of his public status but his commitment to moral purity in all aspects of his life. 2.2 billion – estimated number of people who heard him preach. 215 million – estimated number of people he preached the gospel to at live events. 2.2 million – estimated number of people at his crusades who responded to the invitations to become a Christian. 2 million – copies sold of his 1953 best-seller Peace With God. 61 – the record number of times Graham finished in the top 10 of Gallup’s poll of most admired men, that includes making it into the top 10 every year the question was asked since 1955. 33 – number of books he wrote. 13 – number of U.S. presidents with whom Billy Graham has met—from Harry Truman to Donald Trump. Simply incredible. In reflecting on his life, I wrote down six of the many ways I want to become more like Billy Graham. 1) I want to be bolder in message. You did not have to wonder where Billy Graham stood on issues. Personally, I found this refreshing. Boldness is not easy for Christians. It opens us up to ridicule. But boldness is also intricately tied to faith. Where there is a lack of Christ-centered boldness there is an absence of faith. 2) I want to better learn the art of winsome humor. A great example of this was Graham’s interaction with the provocative Woody Allen in 1969. In typical Woody Allen fashion, he invited Graham on his program proceeded to make a series of off-color remarks. Rather than finding his pulpit voice, Graham responded with an appropriate amount of humor that was compelling to the audience. I love this and have thought about this exchange on multiple occasions. As Christians, it can be tough when people push back against what we say. The tendency is to let our face sober up, get very serious, and push back with all of our available apologetical data. Unfortunately, I think this is where we often lose people. While I am not suggesting Christians should join non-believers in gutter talk, there is a way to respond to off-color remarks with grace rather than a sword. 3) I want to be simpler and clearer in communication. Graham tells the story of one time he was giving a series of talks at Cambridge University. Known as a plain speaker, he was surprised to hear several of the professors come up to him at the close of his talks and state that his material had in fact gone over the heads of most of his listeners. Upon reflection, Graham noted that just because someone holds a high degree in another field of study does not mean they will possess a great knowledge of God. I have found this to be true as well. While I certainly believe Christians should work hard to communicate truth in intellectual, articulate, and thought-provoking ways, we must remember that much of the world knows very little of who Jesus is and the hope that he offers. For the average person who has just come to faith in Christ, seminary talk is simply beyond their reach much like the detailed points of astronomy would be beyond mine. While I want my words to have depth and substance, I also want to be simple and clear. Finding that line is definitely an ongoing challenge! 5) I want to be continually committed to moral safeguards. In 1948, following a series of scandals within the church world, Graham met with several members of his staff in Modesto, California and together they came up with four resolutions for their personal lives. You might be familiar with these but here is a refresher. A) They would take fixed salaries. Because their ministry was dependent upon love offerings, the temptation to increase their personal wealth could have been strong. By taking a modest fixed salary, Graham avoided the stigma that has held fast to many false prosperity teachers of our day. B) They would place safeguards against sexual temptation. From that day forward Graham did not meet or eat alone with any other woman who was not his wife. Today’s culture calls this extreme. Several years ago I remember sitting among a group of pastors and most in the room shared how they believed this viewpoint was misogynistic. I remember biting my lip to keep silent as one pastor shared how he fought against this viewpoint by intentionally taking his personal secretary alone with him on car rides to and from the office. In a day and age when accusations alone can undermine an entire ministry, I think Graham’s safeguards in this area should be the norm for Christian leaders instead of the extreme. C) They would not use their platform to lash out at other pastors and churches. Not a bad policy for Christians on social media today. D) They would not embellish numbers. In an age where sold out crowds were lauded, Graham committed to never stretching the truth. This is a practice I am committed to keeping for each of my 2.5 million readers who actively click on this blog (little Canada Dry humor for you). 6) I want to be stronger in faith. Just a couple of miles from where I am writing this post sits the the location of what was once called Avenue Road Church of the Nazarene. This was a church pastored by the late Charles Templeton. In 1941, Templeton founded this church in Toronto, in a building that formerly housed a Presbyterian congregation, where he served as senior pastor despite his lack of formal theological training. Templeton made many evangelistic tours with Graham and preached the gospel throughout western Europe, frequently rooming together, and holding crusades in England, Scotland, Ireland, Sweden and other countries. Templeton hosted a weekly religious television show on CBS, Look Up and Live, in the early 1950s. In 1957, after a long struggle with doubt, Templeton declared himself an agnostic. I think for too many believers, doubt can be paralyzing. While asking legitimate questions and seeking out sound counsel is important, at some point we have to come back to the basics as Graham did time and time again and hold strong to faith. As my brother pointed out in a recent message he gave at Discovery Pointe Church, this was something my mom modeled. Every challenge in her life was not a crisis of faith. As a pastor, I believe the greatest way to honor the legacy of Billy Graham is to stand up this Sunday and unashamedly preach the full gospel of God. This is what Billy Graham’s life was all about. And speaking of which, I think I’ll get back to preparing to do just that!